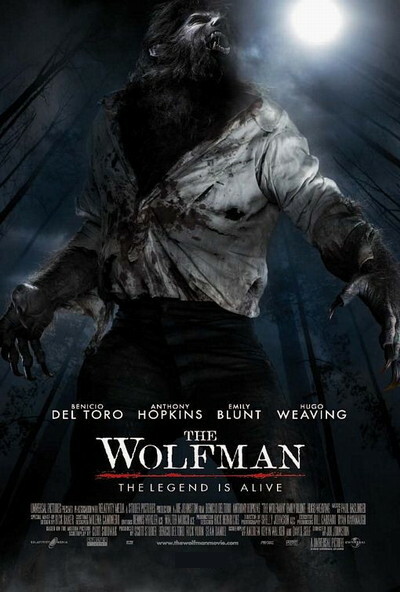 Story: Inspired by the classic Universal film that launched a legacy of horror, "The Wolfman" brings the myth of a cursed man back to its iconic origins. Oscar-winner Benicio Del Toro stars as Lawrence Talbot, a haunted nobleman lured back to his family estate after his brother vanishes. Reunited with his estranged father (Oscar- winner Anthony Hopkins), Talbot sets out to find his brother...and discovers a horrifying destiny for himself.